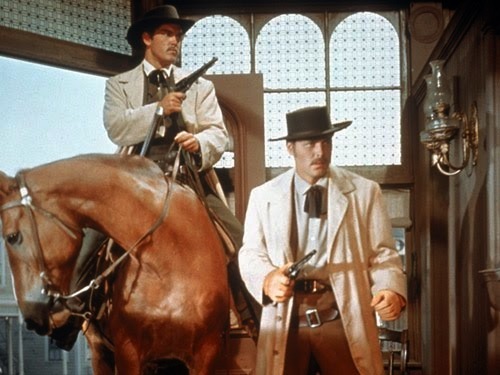 Robert Wagner | 50 Westerns From The 50s. 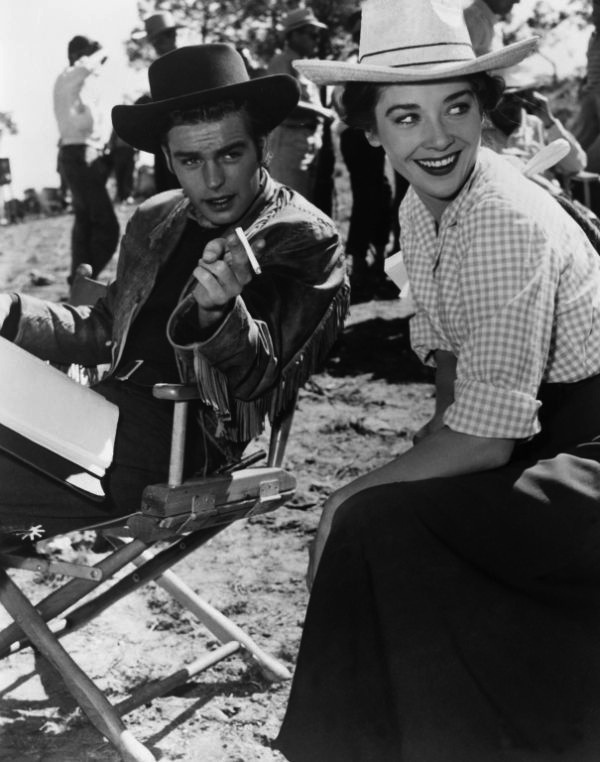 Robert Wagner and Virginia Leith on location for White Feather (1955). 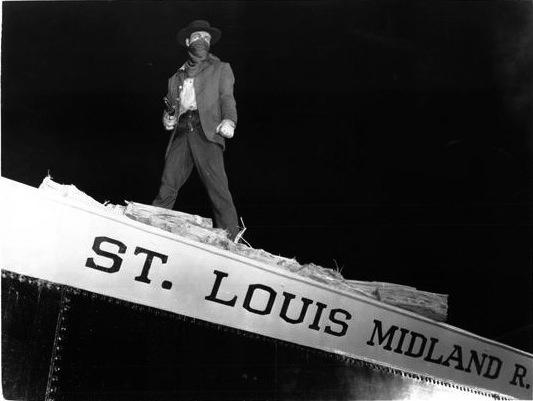 For some reason, this Delmer Daves-scripted picture has been overlooked. Seek it out. 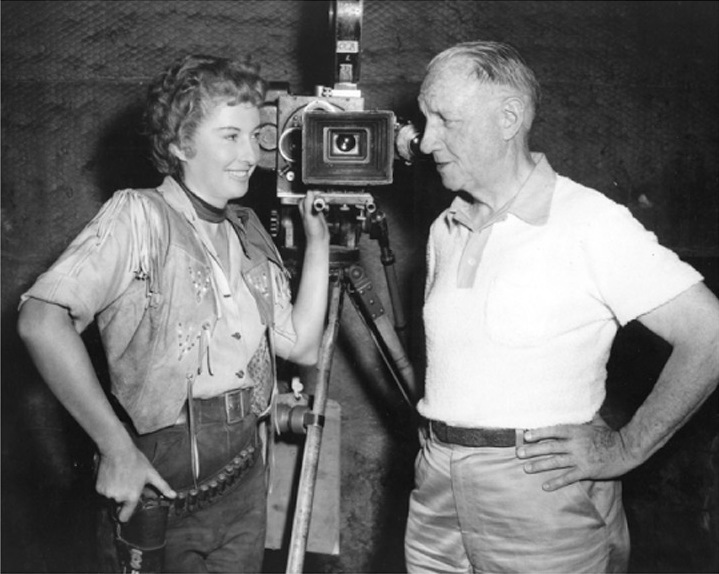 Barbara Stanwyck and Allan Dwan chat between scenes on Cattle Queen Of Montana (1954). 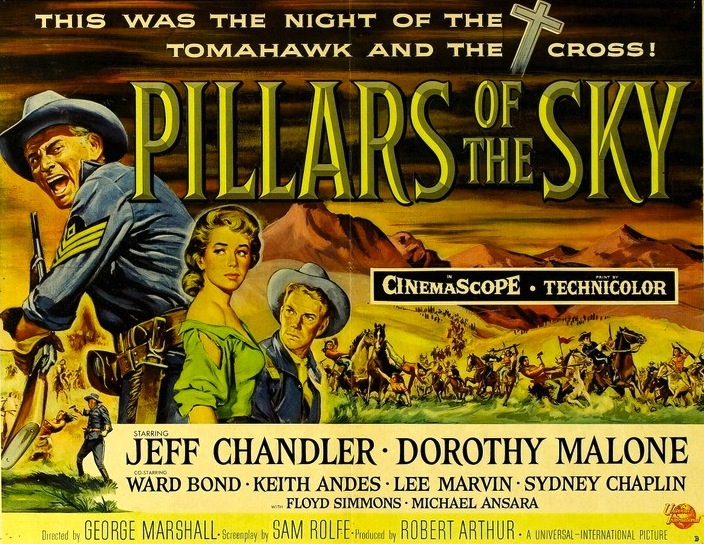 Dwan could do no wrong during this late phase of his incredible career. 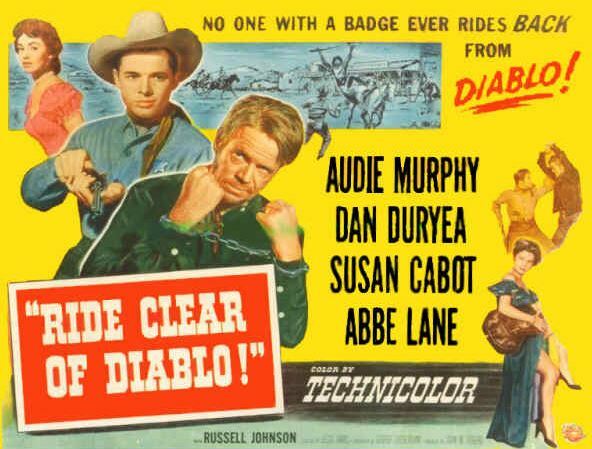 Dan Duryea and Audie Murphy hanging out while making Ride Clear Of Diablo (1954). Both were at the top of their game on this one. 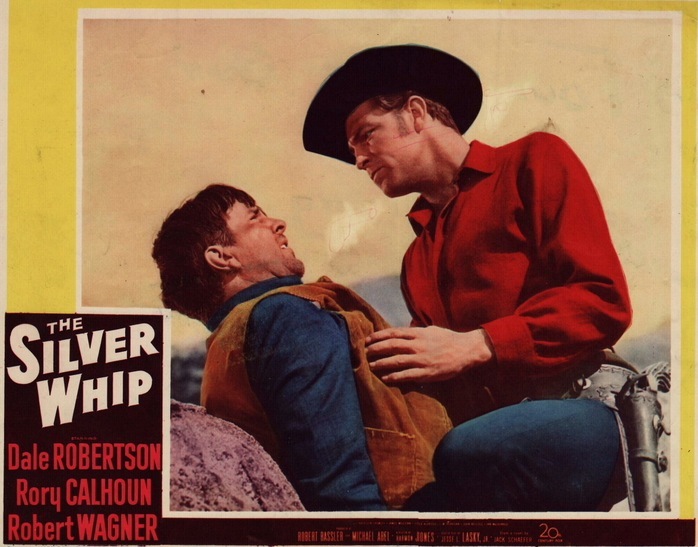 DVD Review: The Silver Whip (1953). 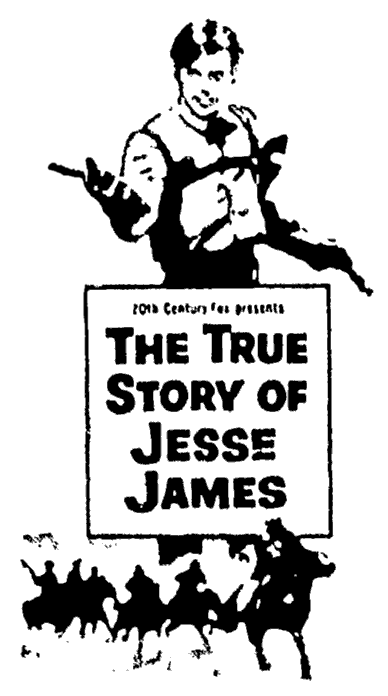 Screen Play by Jesse L. Lasky, Jr. 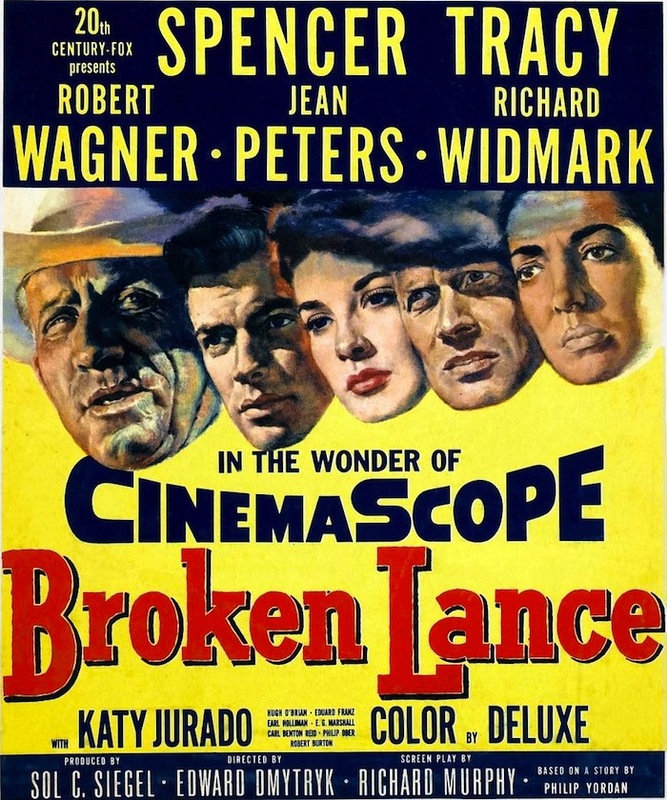 CAST: Dale Robertson (Race Crim), Rory Calhoun (Tom Davisson), Robert Wagner (Jess Harker), Kathleen Crowley (Kathy Riley), James Millican (Luke Bowen), Lola Albright (Waco), J.M. 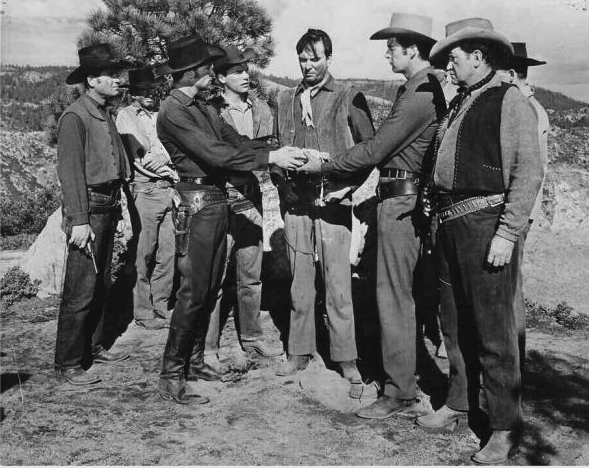 Kerrigan (Riley), John Kellogg (Slater), Ian MacDonald (Hank), Burt Mustin (Uncle Ben), John Ducette, Chuck Connors. 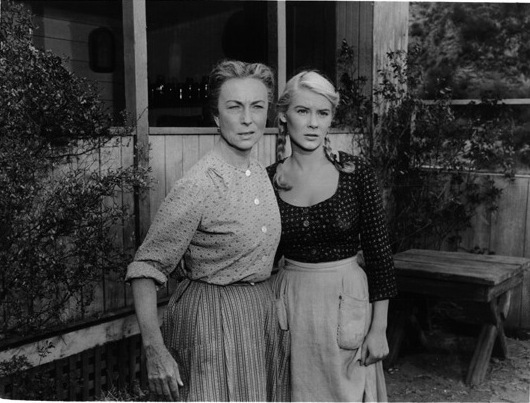 It had been ages since I’d seen The Silver Whip (1953), and I remembered very little about it. 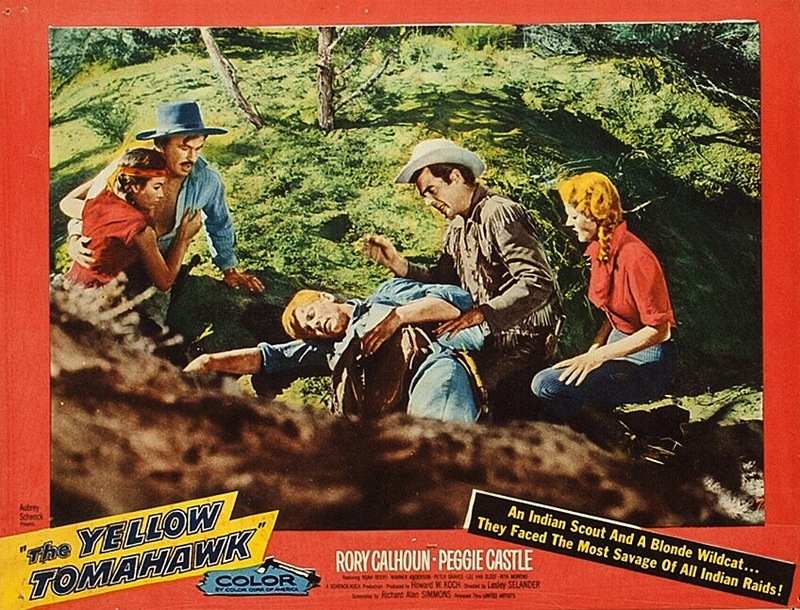 Revisiting it thanks to the Fox Cinema Archives DVD-R, I didn’t expect much more than an interesting pairing of Dale Robertson and Rory Calhoun. Turns out, I really underestimated this film. There’s a lot more going on here than just pairing a couple cowboy stars. 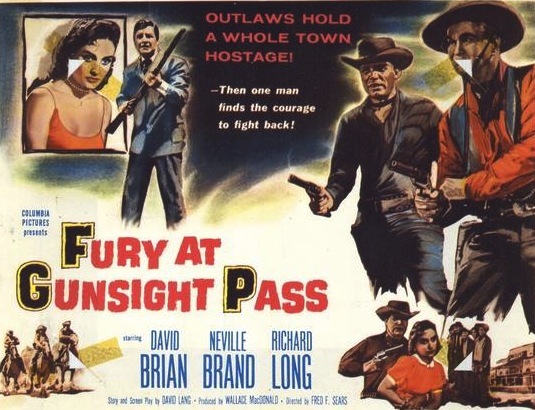 It’s a strong story built around a few key action scenes, given plenty of punch by editor-turned-director Harmon Jones. 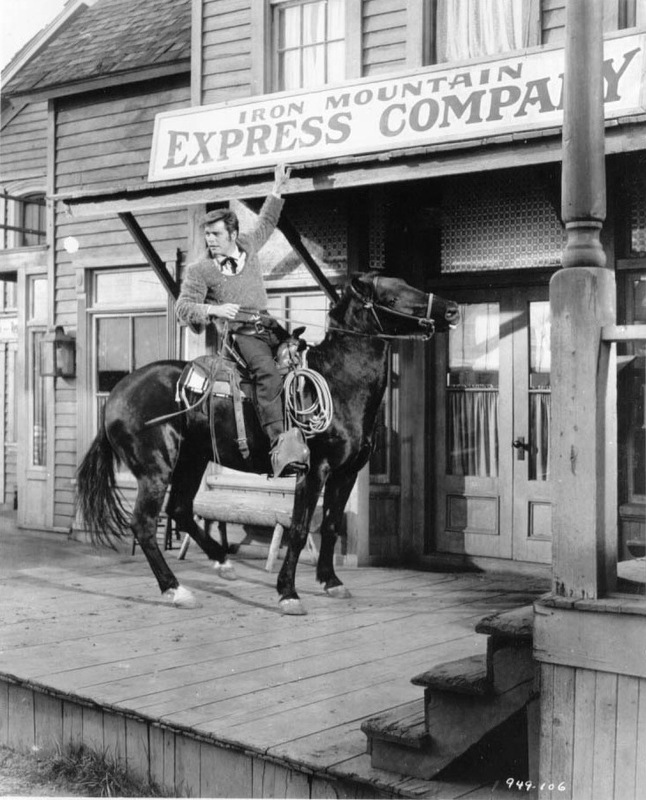 Race Crim (Robertson) is a stagecoach guard who recommends young driver Jess Harker (Robert Wagner) for his first major run. 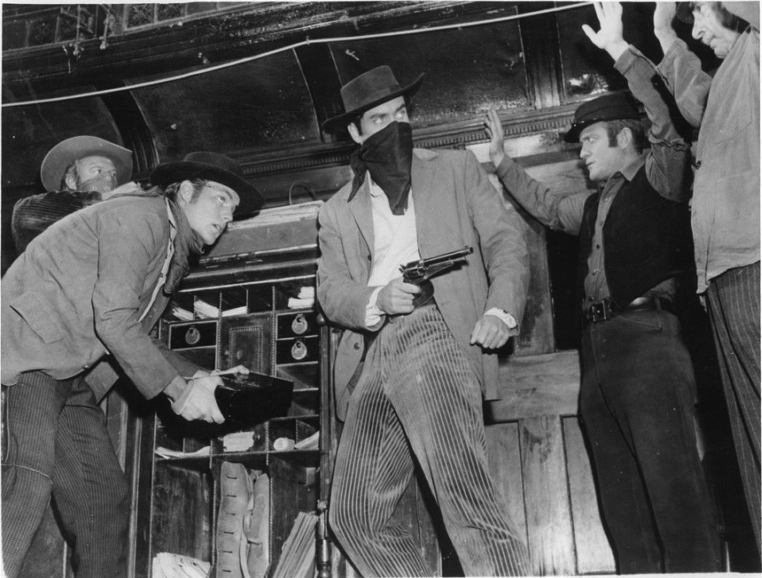 It goes horribly wrong when Slater (John Kellogg) and his gang shoot up the stage. 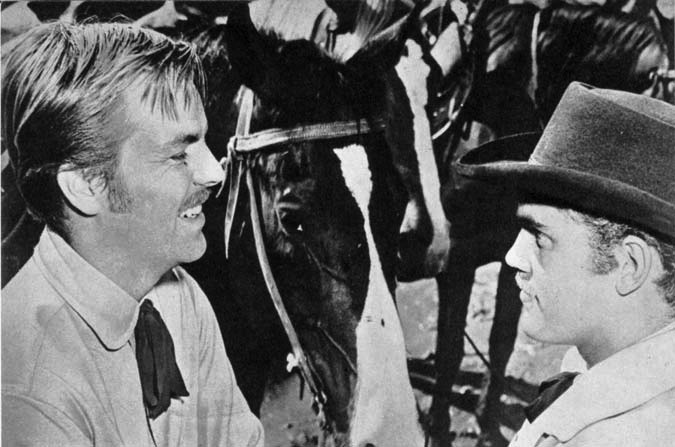 Sheriff Tom Davisson (Calhoun) and Harker go after the gang, trying to get to them before Race, who’s out for revenge, does. This creates an interesting three-way conflict with both justice (Calhoun and Wagner) and vengeance (Robertson) going after Slater. I won’t go any further than that — this is a cool movie and I don’t want to spoil it. 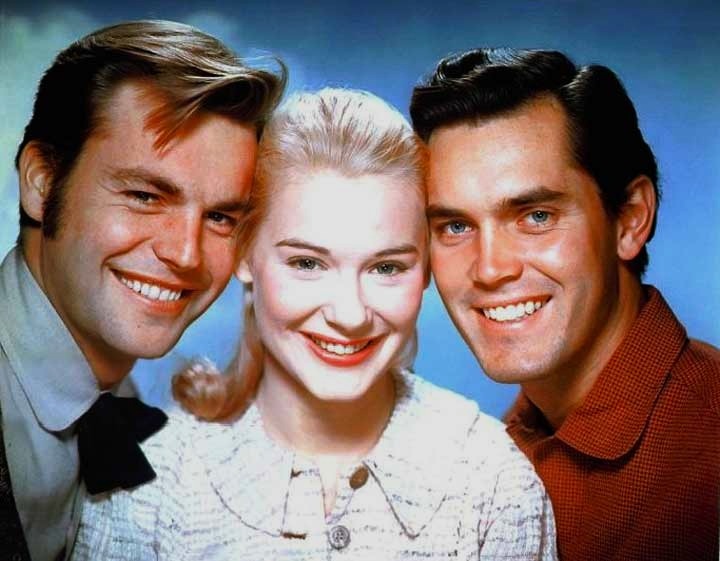 Of course, Robertson and Calhoun are terrific. A lot of us have been enjoying Calhoun pictures lately, and this has become one of my favorites. 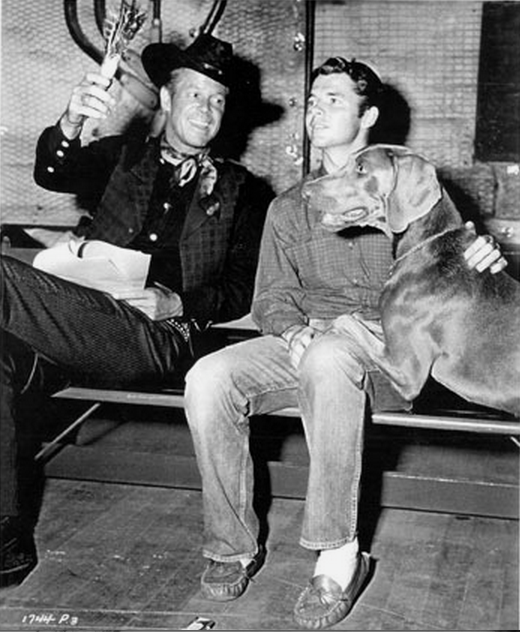 But the film belongs to Dale Robertson, whose change from Calhoun’s best friend and Wagner’s mentor to a bitter, obsessed rival gives The Silver Whip a lot of its strength in the last few reels. 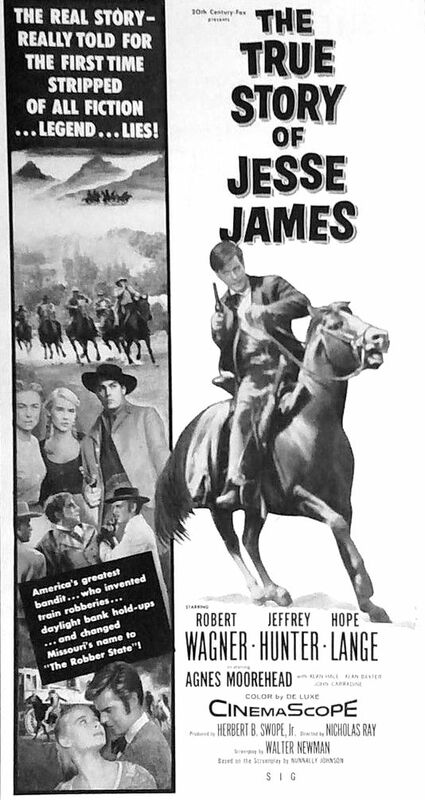 Robert Wagner (seen in a color still below) seems so young — he was still three years away from The True Story Of Jesse James (1956). We’ve all been hard on the 20th Century-Fox Cinema Archives DVD-R program for problems with aspect ratio, etc. I’m happy to report that this one looks great. It’s 1.37, as it should be, with a black and white transfer that shows off Lloyd Ahern’s crisp cinematography. Unlike some of you, perhaps, I like a little dirt and dust in these things. 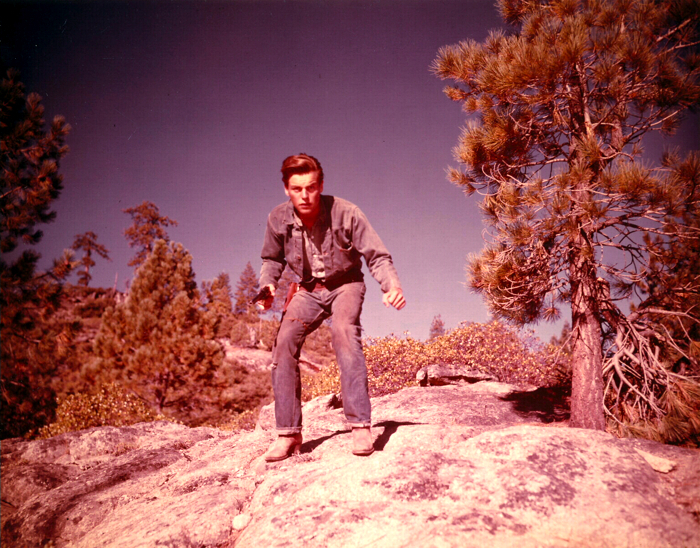 Growing up watching 16mm prints of films like this, a speck here and there is part of the experience. It’s so easy to recommend The Silver Whip, along with its appearance on DVD (available from major online retailers).